this blog post is the second issue of the Cooking with Onions series which aims to highlight interesting aspects of the onion space. Check-out our first issue as well! This post is about onion addresses being weird and the approaches that can be taken to improve onion service usability. So for example, if you wanted to visit the Tor website onion service, you would have to use the address http://expyuzz4wqqyqhjn.onion/ instead of the usual https://www.torproject.org. To better understand why onion addresses are so strange, it helps to remember that onion services don't use the insecure Domain Name System (DNS), which means there is no organization like ICANN to oversee a single root registry of onion addresses or to handle ownership dispute resolution of onion addresses. Instead, onion services get strong authentication from using self-authenticating addresses: the address itself is a cryptographic proof of the identity of the onion service. When a client visits an onion service, Tor verifies its identity by using the address as ground truth. In other words, onion services have such absurd names because of all the cryptography that's used to protect them. Cryptographic material are basically huge numbers that look meaningless to most humans, and that's the reason onion addresses tend to look random as well. Over the years the Tor community has come up with various ways of handling these large and non-human-memorable onion addresses. Some people memorize them entirely or scribe them into secret notebooks, others use tattoos, third-party centralized directories or just google them everytime. We've heard of people using decks of cards to remember their favorite onion sites, and others who memorize them using the position of stars and the moon. We believe that the UX problem of onion addresses is not actually solved with the above ad-hoc solutions and remains a critical usability barrier that prevents onion services from being used by a wider audience. The onion world never had a system like DNS. Even though we are well aware that DNS is far from the perfect solution, it's clear that human memorable domain names play a fundamental role in the user experience of the Internet. In this blog post we present you a few techniques that we have devised to improve the usability of onion addresses. All of these ideas are experimental and come with various fun open questions, so we are still in exploration mode. We appreciate any help in prototyping, analyzing and finding flaws in these ideas. During the past years, many research groups have experimented and designed various secure name systems (e.g. GNS, Namecoin, Blockstack). Each of these systems has its own strengths and weaknesses, as well as different user models and total user experience. We are not sure which one works best for the onion space, so ideally we'd like to try them all and let the community and the sands of time decide for us. We believe that by integrating these experimental systems into Tor, we can greatly strengthen and improve the whole scientific field by exposing name systems to the real world and an active and demanding userbase. For this reason and based on our experience with modular anti-censorship techniques, we designed a generic & modular scheme through which any name system can be integrated to Tor: Proposal 279 defines A Name System API for Tor Onion Services which can be used to integrate any complex name system (e.g. 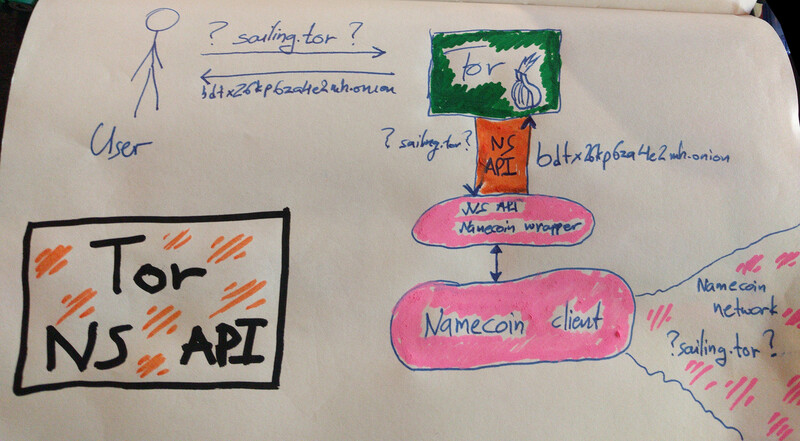 Namecoin) or even simple silly naming schemes (e.g. a local /etc/tor-hosts file). It's worth pointing out that proposal 279 is in draft status and we still need to incorporate feedback received in the mailing list. Furthermore, people have pointed out simple ways through which we can fast-track and prototype the proposal faster. Help in implementing this proposal is greatly appreciated (find us in IRC!). 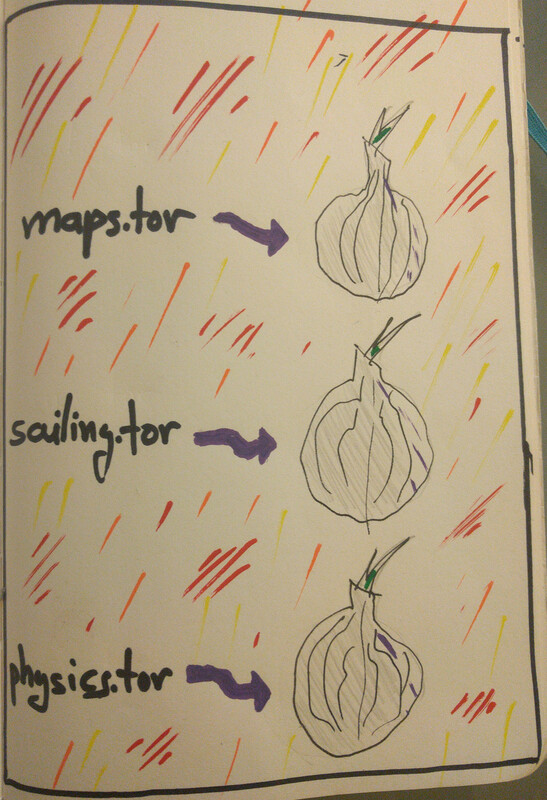 Other approaches for improving the usability of onion addresses use the Tor Browser as a framework: think of browser extensions that map human memorable names to onion addresses. A browser extension like HTTPS-everywhere, uses an onion registry to map human-memorable addresses from a new pseudo-tld (e.g. ".tor") to onion addresses. For example, it maps "watchtower.tor" to "fixurqfuekpsiqaf.onion" and "globaleconomy.tor" to "froqh6bdgoda6yiz.onion". Such an onion registry could be local (like HTTPS-everywhere) or remote (e.g. a trusted append-only database). Even an extension with a local onion registry would be a very effective improvement to the current situation since it would be pretty usable and its security model is easy to understand: an audited local database seems to work well for HTTPS-everywhere. However, there are social issues here: how would the onion registry be operated and how should name registrations be handled? I can see people fighting for who will get bitcoin.tor first. That said, this idea can be beneficial even with a small onion database (e.g. 50 popular domains). A more dynamic alternative here involves multiple trusted remote onion registries that the user can add to their torrc. Imagine a web-of-trust based system where you add your friend's Alice onion registry and then you can visit facebook using facebook.alice.onion. A similar more decentralized alternative could be a browser addon that uses multiple remote onion registries/notaries to resolve a name, employing a majority or supermajority rule to decide the resolution results. Such a system could involve notary nodes similar to SSL schemes like Convergence. An easier but less effective approach would be for the browser extension to only map DNS domain names to onion names. So for example, it would map "duckduckgo.com" to "3g2upl4pq6kufc4m.onion". That makes the job of the name registrar easier, but it also heavily restricts users only to services with a registered DNS domain name. Some attempts have already been made in this area but unfortunately they never really took off. The Alt-Svc HTTP header defines a way for a website to say "I'm facebook.com but you should talk to me using fbcdn.com." If we replace that fbcdn.com address with facebookcorewwi.onion - then when you typed in Facebook, the browser would, under the covers, use the .onion address. And this can be done without any browser extension whatsoever. One problem is that the browser has to remember this mapping, and in Tor Browser that mapping could be used to track or correlate you. Preloading the mapping would solve this, but how to preload the mapping probably brings us back into the realm of a browser extension. Talking about random addresses, it's funny how people seem to be pretty happy handling phone numbers (big meaningless random numbers) using a phone book and contacts on their devices. On the same note, an easier but less usable approach would be to enhance Tor Browser with some sort of smart bookmark/petname system which allows users to register custom names for onion sites, and allows them to trust them or share them with friends. Unfortunately, it' unclear whether the user experience of this feature would make it useful to anyone but power users. So let's shift back to non-browser approaches! Let's Encrypt is an innovative project which issues free SSL certificates in an automated fashion. It has greatly improved Internet security since now anyone can freely acquire an SSL certificate for their service and provide link security to their users. Now let's imagine that Let's Encrypt embedded onion address information into the certificates it issues, for clients with both a normal service and an onion service. For example, the onion address could be embedded into a custom certificate extension or in the C/ST/L/O fields. Then Tor Browser, when visiting such an SSL-enabled website, would parse and validate the certificate and if an onion address is included, the browser would automagically redirect the user. Take a look at this paper for some more neat ideas on this area. As you can see there are many approaches that we should explore to improve usability in this area. Each of them comes with its own tradeoffs and applies to different users, so it's important that we allow users to experiment with various systems and let each community decide which approach works best for them. It's also worth pointing out that some of these approaches are not that hard to implement technically, but they still require lots of effort and community building to really take off and become effective. Involving and pairing with other friendly Internet privacy organizations is essential to achieve our goals. Furthermore, we should think carefully of unintended usability and security consequences that come with using these systems. For example, people are not used to their browser automagically redirecting them from one domain to another: this can seriously freak people out. It's also not clear how Tor Browser should handle these special names to avoid SSL certificate verification issues and hostname leaks. One thing is for sure: even though onion services are used daily by thousand of people, the random addresses confuse casual users and prevent the ecosystem from maturing and achieving widespread adoption. We hope that this blog post inspires researchers and developers to toy around with naming systems and take the initiative in building and experimenting with the various approaches. 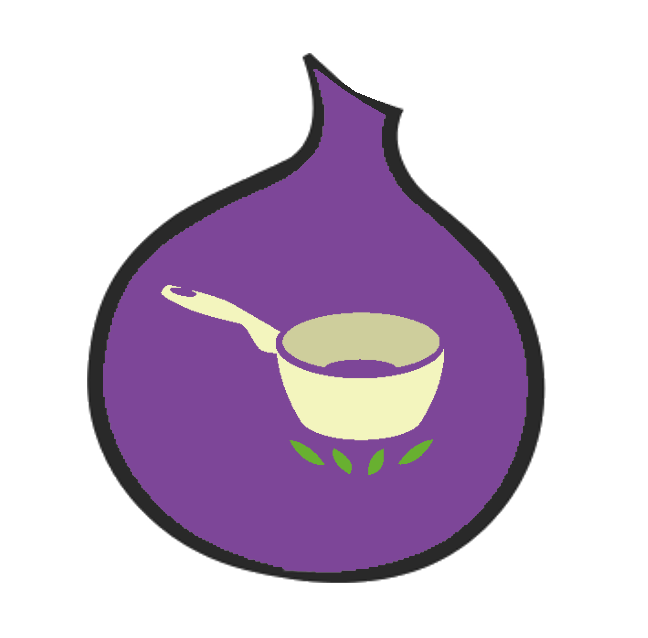 Please join the [tor-dev] mailing list and share your thoughts and projects with us! And this brings us to the end of this post. Hope you enjoyed this issue of Cooking With Onions! We will be back soon, always with the finest produce and the greatest cooking tips! What would you like us to cook next? Nice, TOR addresses are like Bitcoin addresses. Great article! In practice I only regularly visit 3-4 onion addresses (by copy pasting them from onion.txt on my desktop). But I think at least 1/16 of the other sites I visit already have an onion service, but since finding onion services for them and classifying them in my txt file will take more time, I tend to just use the regular websites themselves. One problem though: when I last tested adding specific HTTPS Everywhere rulesets to change addresses to their corresponding onion site (in the specific folder dedicated to user rulesets), it just didn't work. Is it just me or does it no longer work? Hmm, not sure what's up. I don't know much about the inner workings of HTTPS-Everywhere. pity the project is no longer alive. I'd prefer something like Namecoin, but not necessarily with a proof of work. I don't know if such a thing exists. The proof of work is the whole reason NameCoin works. Clients never have to compute it so I don't think it's a big deal. In fact, there are already some public DNS servers that resolve .bit names (but you have to trust them). Yep, I think that's probably the path we are gonna take. I feel the usability is kind of impaired by using a second tld, but still it seems to be the right thing to do. Can you clarify? Are you saying the vibe is to to put everything under .onion, or instead to put everything under a second TLD? Yes, the current vibe is to put everything under .onion . So if you used Namecoin you would have to go to reddit.bit.onion . And if you used GNS you would have to go to reddit.gnu.onion . And if you used MagicalNameSystem you would have to go to reddit.mns.onion . Does reddit have an onion service? depend on one own threat model i guess ...hidden to hidden you get the anon anyway... unless of course if one silly enough to give social information e.g with own name etc... and the hidden is an state run hidden service. #1 is obviously the best. #1 is obviously the best. Okay that might be an overstatement, but really, all the alternatives pale in comparison. They either are browser only, require existing clearnet presence (DNS, PKI), or have real logistics/management hurdles (Zokoo's triangle). We already have naming systems that are secure, human readable, and globally unique. Why would we bother with the registration politics nightmare of a remote authoritative naming repository? Or many nonauthoritative ones that can have global naming collisions. NameCoin/GNS/BlockStack might even mainline the client code to make it compatible with Tor. And if not, a small shim would be super simple (disclaimer: I have not read the spec yet). Doesn't NameCoin already have a a record type reserved for .onion addresses? The answer has been right in front of our faces for at least 5 years now (NameCoin, maybe even others before that). I honestly can't believe it has taken this long to get to where we are, and we're still in the proposal stage. But I'm glad we're getting there! This is a huge step for onion services! It does seem like the idea also requires mods to Tor Browser as well, to be able to support SSL certs etc. Thank you for the links! As usual, the devil is in the details. But just from reading those two posts I can see the problem is not insurmountable. What was getting at is that #1 is the Right Way™ to solve the problem, not the easy way. Why not try a system similar to PascalCoin, written in FreePascal.............Just like the nodes who carry Tor bandwidth mirror the directory why not create another directory written like PascalCoin and checked through a Tor directory. I2P is far ahead of Tor in this space, even though Tor has more users. Sorry this post doesn't make much sense to me. Why this "PascalCoin"? Does it have anything to do with a name system at all? It would take enornous effort to modify the codebase to work as a name system, as opposed to using an API like NameCoin's. And why does the language matter? Other than the fact that most of Tor devs already use C and JS and not Pascal. Having the Tor directories do the lookups is an interesting idea. You'd have to trust them, and I don't know what the anonymity implications would be. You could do remote lookups for any other name system, like NameCoin, too. I2P is not far ahead of Tor here. The I2P name system is actually kind of silly when you look at how it works. It's really nothing more than a remote replicated "hosts" file. It is not globally unique. And it has practical issues, for example names can never be freed for reuse, even if their private key is destroyed. It's a gimmick compared to NameCoin. Oh, and by the way, a module could use or be based on PascalCoin or anything else. This blog post is about the API that connects Tor to name system modules. How the modules are implemented doesn't really matter. For all intents and purposes, Tor sees PascalCoin the same way as NameCoin. Your just gonna have to make 2 directories one for private .Onions and one for .Onions who people post all over the net trying to direct people to. I don't think you can handle both without 2 seperate directories. Why you don't explore such an obvious approach to improving usability as various graphical representations of onion addresses? It works for security verification codes in WhatsApp, Telegram etc., it should also work for onion addresses. Having various graphical representations of onion addresses might be a small step forward but it's far from a proper solution to this problem. How many QR codes or key poems can you put in your brain? You probably might remember 3 or 4, but then what do you do for all the rest of the onion sites you want to visit? 05.04.2017 10:32:09.400 [NOTICE] DisableNetwork is set. Tor will not make or accept non-control network connections. Shutting down all existing connections. 05.04.2017 10:32:10.300 [NOTICE] Delaying directory fetches: DisableNetwork is set. 05.04.2017 10:32:18.700 [NOTICE] DisableNetwork is set. Tor will not make or accept non-control network connections. Shutting down all existing connections. 05.04.2017 10:32:18.700 [NOTICE] Renaming old configuration file to "C:\Users\1\Desktop\Tor Browser\Browser\TorBrowser\Data\Tor\torrc.orig.6"
05.04.2017 10:32:22.600 [NOTICE] Tor has successfully opened a circuit. Looks like client functionality is working. 05.04.2017 10:32:23.900 [NOTICE] New control connection opened from 127.0.0.1. 05.04.2017 10:32:24.000 [NOTICE] New control connection opened from 127.0.0.1. Would it be possible to lift out just the tor dns code, and the nat traversal code for a dns system only? I like tor, but using a hidden service as a distributed and free dns is a superhit! So in my ideal world, I'd like to have a Tor DNS software package, that enables me to have a constant .onion address for my home server that I can always use, and to avoid having to many hops in between. I don't need anonymous browsing for my home server, but only an unchanging name. Anyway, don't know if you have the time and resources to do this, but it would be nice. Thank you for all the good work! check out the 'Single Onion Services' feature. It's a type of onion service with no anonymity on the service-side, so it doesn't use a 3-hop circuit on the service-side which means it should be faster, but still give you the static onion address you are looking for. Thank you very much, I wasn't aware of that! =) That's a great option, and the only thing missing is the ability to disable the 3 hops on the client side as well (or perhaps 2 hops since I assume one hop is needed for routing purposes?). But I can see that there is a possibility to tweak the countries the 3 hops are located in, so I think the performance should be more than enough for most use cases. The latest financial reports for The Tor Project on the website only cover the period through the end of 2014. Do you know when the organization's 2015 and/or 2016 IRS 990 forms or audited financial statements will be made available? Thanks! This idea is bad because it forces you to use hidden service verion of the website and in case of Facebook if you try to comment on news websites that facebook for comments under their articles you cant comment when you are logged in to facebook's hidden service. Of course under normal Tor Browser privacy settings you can't comment even if you are logged in to clearnet Facebook website because of cookie isolation but if you enable third party cookies and tracking you can but as I said this doesn't work with Facebook's hidden service. This one is using "MapAddress" as custom alias("repo" one). Would .tor be the official TLD for plain-text onion names? If so, do you have plans to get ICANN to assign special-use status to the TLD? Would .tor be eligible for HTTPS certificates? If so, would it support domain validated like Let's Encrypt or EV only. That said, would the next generation strong .onion addresses support DV certificates, adding the possibility of Let's Encrypt being able to add support per CA/B rules? .tor was just an example for this blog post. We have not actually decided what to do about the tld, but we probably gonna go with .onion . So, like .tor.onion, or .bit.onion, etc. Exactly for the reason that ICANN has standarized .onion and we should keep ourselves in that zone (see other comments on this topic). We are hoping that the CAB forum will allow onion addresses to get DV certificates as well. I think there are some discussions underway right now, but I imagine the next gen onion services will put extra pressure here. I am of the opinion that the optimal scheme is one where I'd be able to boot some amnesic OS that includes Tor and type an "onion" address from memory, just like typing facebook.com of microsoft.com. Nothing written down. Nothing to connect an address to me. Yep, that's also my hope. I think your dream could be achieved using a number of approaches from this blog post. Of course, a good amount of engineering, integration and UX testing will be needed to make this nice and useable. Does setting up an onion service for my website introduce more noise in the network than just using regular HTTPS? The circuits people create will be longer, so there will be a little more traffic in the network. However, the big advantage is that onion service circuits don't use exits nodes. Exits are in short supply. If you don't need to to hide the location of your website, you could consider setting it up as a single onion service to shorten the circuit length and make it a little faster. Problem in idea 1: who decide that john.onion (or john.tor) go to randomaddress1.onion and not to randomaddress2.onion? If all is anonymous, who can guarantee that microsoft.onion (or microsoft.tor) is really microsoft and not a malicious site? Moreover 611 already offers additional TOR services. You can use it to publish an onion website for both: TOR and non-TOR users by using a free service. The websites examples above i.e. are also reachable for non-TOR users using a Tor2Web proxy. TOR users should be automatically redirected to the matching onion website. Namecoin as it stands requires users to download a blockchain to use it, this is very stupid. I will never download a blockchain, not for any coin or reason, at least not through Tor. Centralized registries are also stupid, this makes the registrar liable, might as well just petition icann to handle all of this. We would need a decentraized dns free of blockchain bloat. It seems like the existing onion addressing and network handling already works to this advantage except that it relies on the fact that no two names will ever collide. In which case why not allow people to register collisions then use existing onion network measurement tools to determine the popularity of sites, returning them in the same way a search bar returns autosuggestions. Thanks for your post. Never heard of such a thing. For privacy reasons it would be great if the DNS information of the blockchain could be integrated into the tor network, so that it is not necessary to access the public nameserver out of the tor network. You could run a local instance of NameCoin and the module could query that. I don't see how Tor could integrate the DNS info into the network in a way that would justify the effort. I disagree with your opinion. Blockchain technology is perfect for this purpose as it provides a maximum transparent and secure way to resolve the issues discussed. As a user you do not have to download the whole blockchain (which is also no big mess for a blockchain containing the DNS system of Tor; it's mainly static data); you can work with a pruned blockchain or use a web based service. Setting up a tiny fee on each DNS modification prevents massive abuse as no-one likes to burn money. That's perfect for an anonymous network like Tor. A public blockchain explorer containing all confirmed blockchain operations is like a public dictionary offering a level of trust for every user. Tor is only missing an interface providing direct access to the public DNS data of Namecoin or 611 so that it's not necessary to poll external DNS servers (which can be subject to external influence) to resolve domain names stored in the blockchain. Why should a user have to download a blockchain to use it? The blockchain (or using the wallet) is only necessary to setup or update a domain name alias for an onion address. The user only resolves the valid onion address alias using dns. NameCoin doesn't work without the blockchain. Zokoo's triangle is a hard problem, and it just so happens NameCoin is one of the very few things (maybe the only thing) that actually solves it. We would all like a globally unique, secure, and human readable naming system that doesn't require the user to download a blockchain... we're just waiting for it to be invented at the moment. This blog post made it pretty clear that the traditional .onion addresses aren't going anywhere, although they may be increased to 54 characters. All of these proposals are extensions on top of that. Idea #1 allows for many different naming system modules to be used, so you can just use the ones you like the best. Nobody is forcing anyone to use anything. I would prefer to use the NameCoin fork 611 or to setup a new fork of it allowing to resolve onion names globally for non-TOR users, too. This would widely push the acceptance of hidden onion based web services if these can be reached with web2tor gateways from any Internet device, too. As a side effect the fork 611 is almost unknown by now which allows the registration of almost any domain name you like. 611.to resolves from any Internet capable device. Does some entity hold more than 50% in terms of computing power? I am sure, blockchain is _not_ the technology we want for our DNS thingy.